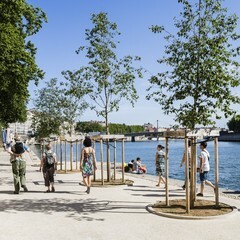 Make the most of the peace and quiet of the banks of the Saône thanks to the pedestrian promenade, and its alternating urban and pastoral atmospheres: a 15-km pedestrian promenade along the river on the left bank, between the Confluence area and Ile Barbe, and between Fontaines-sur-Saône and Rochetaillée-sur-Saône. The works of several contemporary artists have been installed along the river. 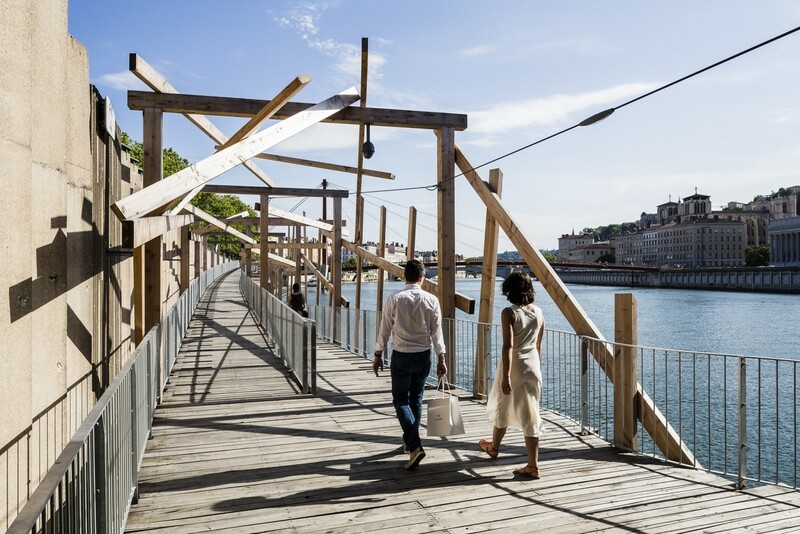 This project highlights and preserves the city's ecological heritage, the buildings built along the Saône, and related activities such as rowing, fishing and walking. From 07/02 to 12/23, every wednesdays, saturdays and sundays. In what way is this an original project? This walkway is punctuated by some twenty works of art by associated artists. 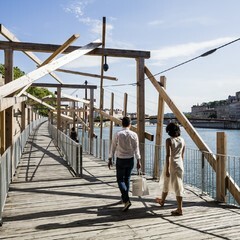 Developed in consultation with the designers from the very beginning of the project, these works of art are perfectly in keeping with the city's history and landscapes, and first and foremost, they are places people can stop to admire the Saône.The guiding artist Tadashi Kawamata devised 6 of the works of art that make up this straight route, creating raw wood cabins and belvederes. What different landscapes can be admired along the way? 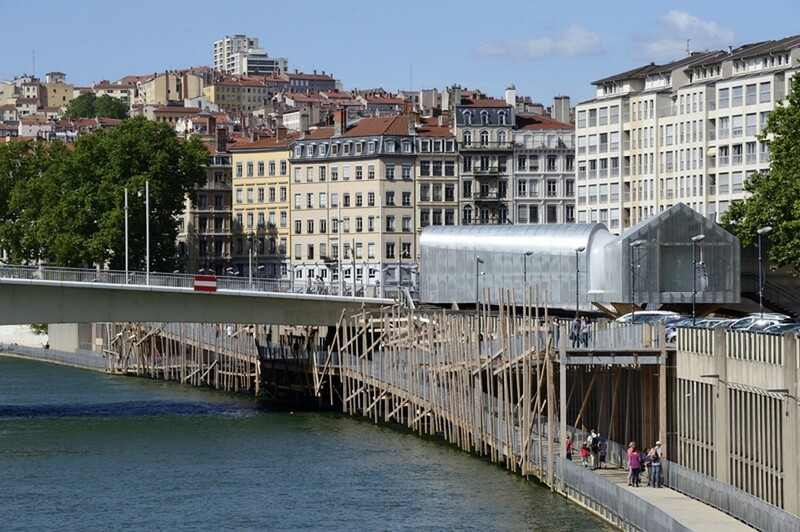 This promenade in Lyon is a great way to see the city, and in particular the façades of houses in Vieux-Lyon from the peaceful setting of the banks. It then follows the lower part with Quai Gillet, than a more pastoral route with lots of plants, prior to crossing Caluire-et-Cuire which takes one close to the mysterious Île Barbe, where the banks widen all the way to Fontaine-sur-Saône then Rochetaillée-sur-Saône, with its wide beaches where casual open-air restaurants are held. 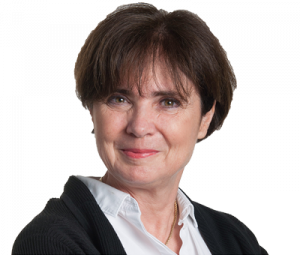 Can you tell us about future developments along the banks of the Saône? The Confluence sequence (included in stage 1 of the Rives de Saône master plan) is already underway. 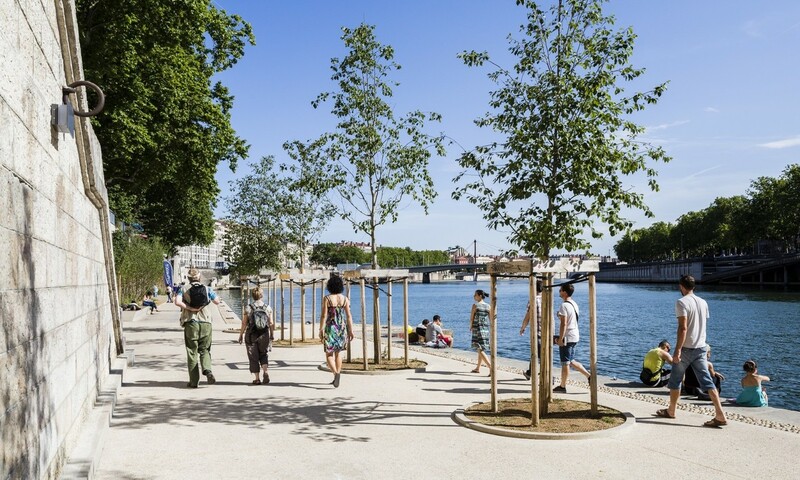 Furthermore, the 2nd stage of the Rives de Saône plan is beginning with the project devoted to the terraces on the Presqu’île: this will begin with the construction of a new underground car park beneath Quai Saint-Antoine, to replace the existing Saint-Antoine car park. Once demolished, this older car park will free a huge 35-metre-wide strip of land in the lower port which will be turned into a river garden by 2020. 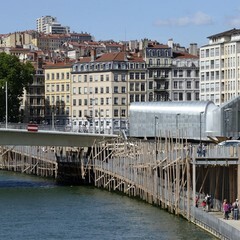 The Rives de Saône pavilion has two main missions. It houses a permanent exhibition about the project and temporary exhibitions on themes related to the project: public art, heritage, water uses, archaeological excavations, the environment uses the shores ...It also serves to trade with government: mediation with the public, hosting professional meetings between technicians, masters of work ...The lodge itself is a work of original and unique art that fits the overall project. 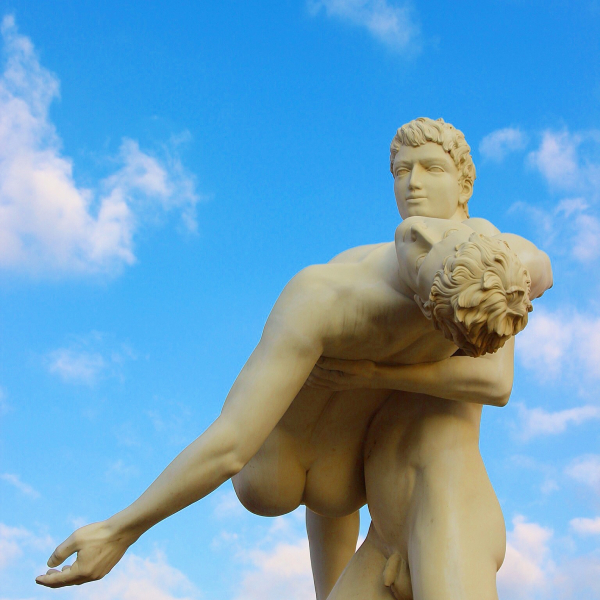 It was designed by the artist architect Didier Fiuza Faustino .